Prime Killarney location! 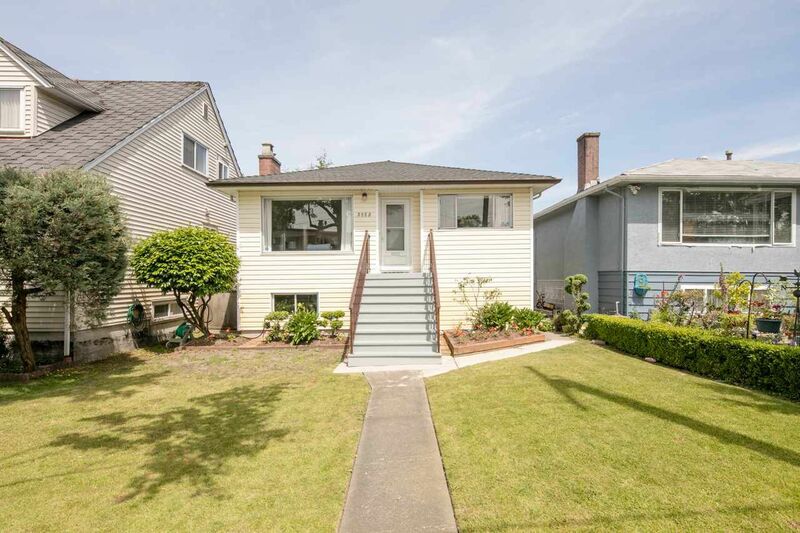 Owned by the original family, this well maintained bungalow is zoned RS-1 and built on a 33' X 120' lot. At 2,000 sqft, this home offers 3 bedrooms, 1 bathroom upstairs and a partially finished rec room below. The North-facing backyard is bright and has a single car garage. Several upgrades - kitchen and bathroom (2005), new roof (2010), furnace (2011) and hot water tank (2013). Oil tank removal/soil remediation was recently completed. Just steps away from Killarney Community Centre, Killarney Secondary School and Dr George M. Weir Elementary you're also just a short drive to Burnaby's Central Park and Metrotown Centre. Don't miss this opportunity to live in a great neighborhood. OPEN HOUSE: June 25, 2-5 pm.